Sayfullo Saipov, 29, has been identified by police as the terror suspect. 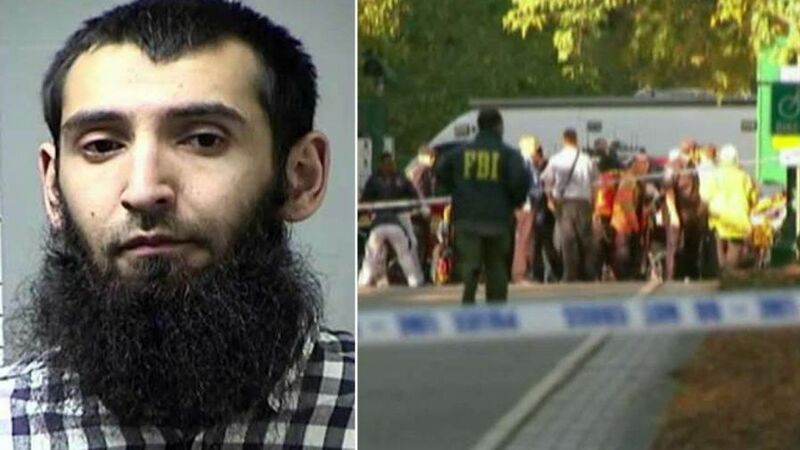 ABC-7 in New York reports that Sayfullo Habibullaevic Saipov, the truck driving, ISIS supporting terrorist who killed at least eight people in New York City today, came to the U.S. seven years ago from Uzbekistan under what is called the Diversity Visa Program. The program offers a lottery for people from countries with few immigrants in America. The idea behind this program, which I became aware of only when Tom Cotton proposed to abolish it, is badly misguided. The U.S. isn’t Noah’s Ark. We don’t need immigrants from every country, and certainly not extra immigrants from Uzbekistan whose population is 80 percent Muslim, and thus is more likely than most countries to produce terrorists and future terrorists in the current environment. According to Newsweek, an Uzbek citizen was arrested in Sweden in April when he ran a truck into a crowd in Stockholm and killed four people. He had expressed sympathy for the ISIS. Two Uzbeks and a Kazakh were arrested in Brooklyn in 2015 and charged with conspiring to support ISIS. Following today’s attack, Newsweek ran an article called “Why young men from [Uzbekistan] keep threatening the U.S. and Europe.” An expert on Central Asia addressed the question — one that doesn’t seem terribly mysterious. Frankly, I don’t care why. 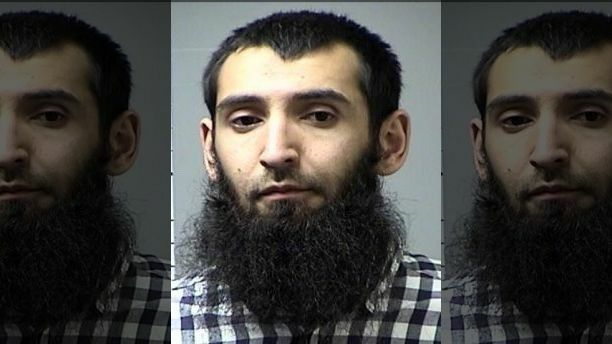 We should not have a program that brings extra Uzbeks to the U.S. in the name of “diversity” or for any other purpose. Daniel Horowitz reports that 1.83 million green cards were issued to nationals of predominantly Muslim countries from 2001-2015, including almost 60,000 to Uzbeks. The dates are significant because they reflect post-9/11 immigration policy. After 9/11, we should have known better. In addition to the 1.83 million green card holders, we let in roughly 155,000 foreign students every year from predominantly Muslim countries, according to Horowitz. In effect, we are asking for more domestic terrorism. Meanwhile, as Horowitz observes, when the president proposes a modest moratorium on just a few of the countries – not even the primary drivers of our immigration from the Middle East – a single leftist district judge blocks the moratorium. The “resistors in robes” on the Ninth Circuit will surely back that judge, as they have in the past on this issue, and we will have to wait for the Supreme Court to uphold common sense and a decent regard for the power of the president with regard to who can enter the U.S. Even thereafter, we can count on more obstruction from lower courts whenever the administration continues its efforts to protect America from an influx of terrorists and future terrorists. Congress must clamp down on immigration, weaken the jurisdiction of lower courts to get involved in immigration cases, and further bolster Homeland Security efforts to identify the thousands of threats we already have in our country as a result of masochistic immigration policies. If, as seems certain, congressional Democrats resist, they need to be called out. In this regard, it’s worth noting that the Diversity Visa Program, through which the terrorist who slayed New Yorkers today came to America, was formulated by New York’s own Chuck Schumer when he was in the House. By contrast, President Trump and, as noted above, Sen. Tom Cotton have called for an end to the program. NYC terror suspect Sayfullo Saipov: Who is he? 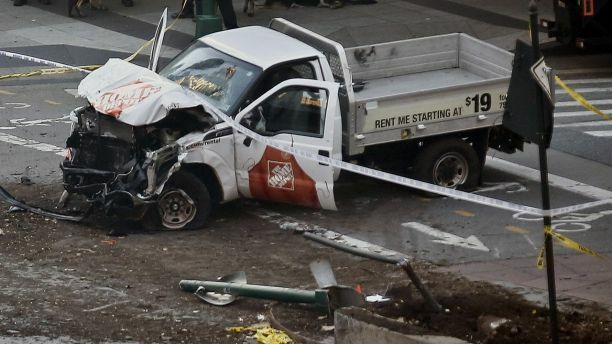 The man suspected of plowing a truck through a crowded bike lane in New York City on Tuesday is 29 years old, from Uzbekistan with a green card, Fox News has confirmed. Police have identified Sayfullo Saipov as the suspect accused of driving a rented pickup truck into a crowd, killing at least eight people and injuring at least 11 more near the World Trade Center in Lower Manhattan. Saipov had worked as an Uber driver in New Jersey, where he was living as recently as this summer. Uber confirmed to Fox News that Saipov passed the company's background check for drivers, but was now banned from the company. Uber added it has not found any safety reports concerning the terror suspect. 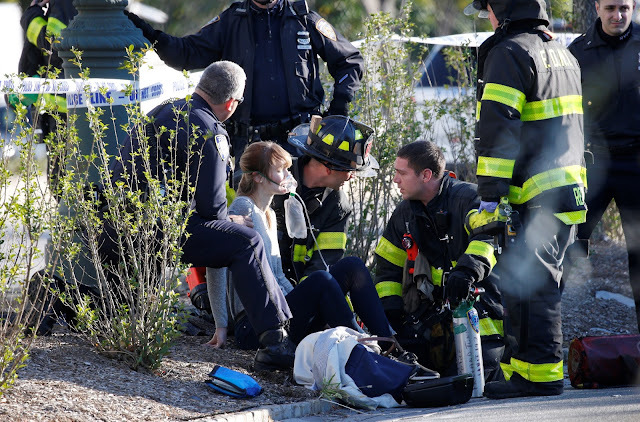 The suspect drove a rented pickup truck through a crowded bike path for several blocks before finally crashing into a yellow school bus near Chambers and West streets, police said. After exiting the vehicle, Saipov yelled “Allahu akbar” ("God is great") and waived around weapons believed to be a paintball gun and a BB gun, police said. The suspect was shot twice by police and taken into custody. He remains in the hospital and is expected to survive his wounds. Law enforcement officials said they discovered two notes, handwritten in Arabic, pledging loyalty to ISIS in and near the truck, Fox News has confirmed. The New York Post reported that some type of symbol or picture of the terrorist organization's flag was discovered. It's been reported that Saipov rented the truck from a Home Depot store in Passaic, N.J., around 2 p.m. on Tuesday -- an hour or so before the attack occurred. Authorities discovered that Saipov had a Florida driver's license and has been connected to an address in the Tampa area. Matkarov said he last saw Saipov a few months ago when the suspect picked him up from John F. Kennedy International Airport in New York City. Saipov had moved to the area in order to seek better work opportunities. Matkarov told Fox News that he never noticed any unusual behavior from the suspect, let alone that he’d been radicalized. He said that Saipov was generally a happy-go-lucky person who seemed to love America. In a statement to Fox News, Uber said the company was in contact with the FBI and has offered its assistance to the investigation into Saipov. It added that Uber was reviewing Saipov's history with the ride-hailing company. Fox News’ Perry Chiaramonte and Nicole Darrah and the Associated Press contributed to this report.